Application simple , maintenance convenient ,design more humane. Smart prediction algorithm,and give full play to their potential manchinery to achieve high-speed processing, curve-linear synchronous curve more smooth. Advanced USB port,the entire off-line work,not impropriate computer resources. 32M large-capacity storage space ,while preserving nine documents to read processing. 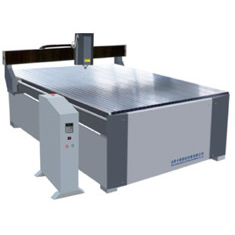 Breakpoint and off-power continued carving function, processing time predicted function and automatic cutter adjustment function. Using German imported ball screw ,more precise ,smooth operation. Strong compatibility :Type3/Artcam/Castmate/proe /Ug/Wentai V8 other CAD/CAM software can be used. CL series machines using advanced DSP NC control system, high speed and efficiency. This machine structure using rational framework, imported guide rail and screw, reliable rigidity ,smooth movement. Supporting breakpoint, power outage continued,solving customers worries. A wild range of professional software or other kinds of software, such as CAD/CAM can be used for carving.